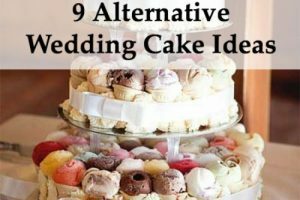 Your wedding cake is the centerpiece of your reception. 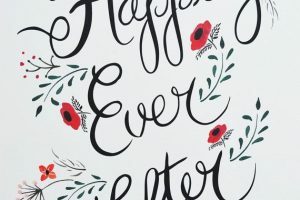 Whether the couple incorporates their colors, flowers, or even vows – the dessert is a great canvas for creative expression. 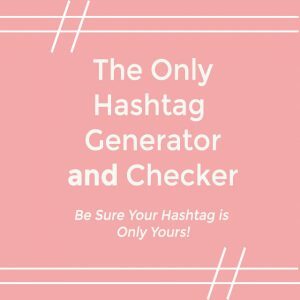 Bria Helgerson, from Sugar Fixe OP, knows this well! 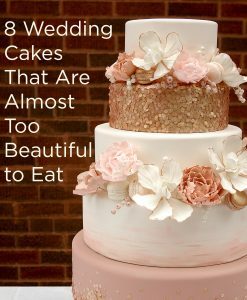 Explore these stunning cakes and get inspired for your sweet wedding treat! 1 . Marvelous Marble Cake! 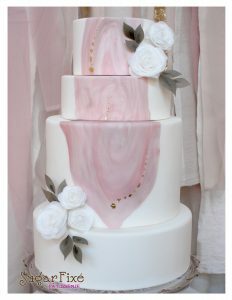 The color of this wedding cake is just SO beautiful! We love the floral decorations on the tiers! The lace design on this next style is breath-taking! 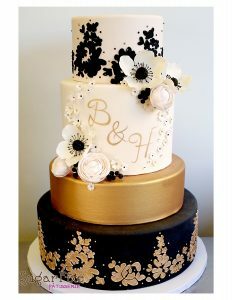 There’s something quite special about the high contrast of the lace against the tier! Cala lilies are so lovely! 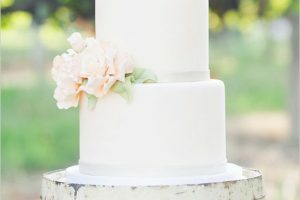 This dessert radiates simple elegance! Calling all glam brides, we may have found the perfect style for you! 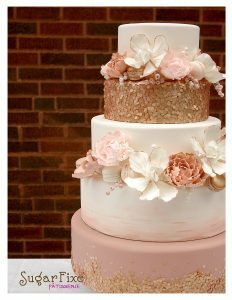 Those rose gold sequins are dazzling! 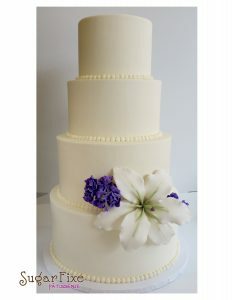 This cake shows the power of an accent color to draw the eye! That purple is so fresh and vibrant! Who doesn’t love bows? 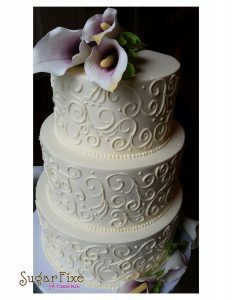 The design on this charming dessert is perfectly sophisticated! 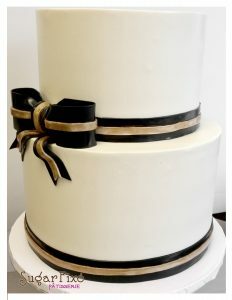 This WeddingMix couple’s cake also featured a glamorous bow! 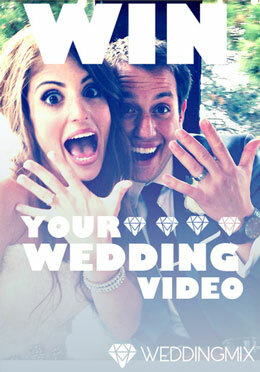 Check out this video to watch them cut the cake and see more highlights from their big day. Succulents are very on trend with modern weddings! 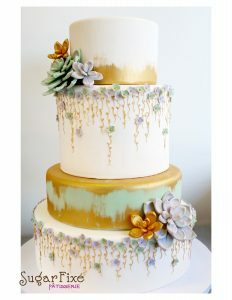 We love how this design incorporates them with gold accents for a whimsical result! 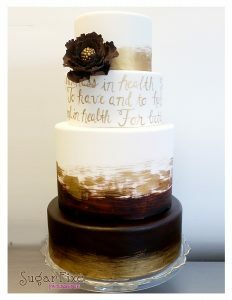 A wedding is a promise and this design showcases the vows on one tier! 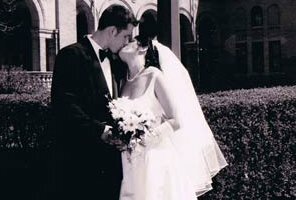 Such a neat idea that ties in the symbolism of the ceremony! Tell us – which cake was your favorite? They are all so beautiful – we know it’s hard to pick just one! We hope you can draw some inspiration from these designs – there is such an awesome variety! Check out Bria Helgerson’s website for more incredible ideas and designs. 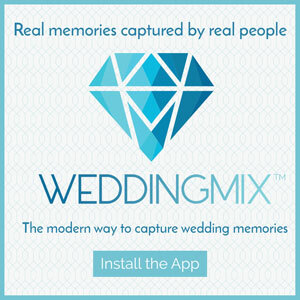 Let your wedding cake live on forever – the free WeddingMix app helps you collect all your guests’ photos and videos in one convenient place! 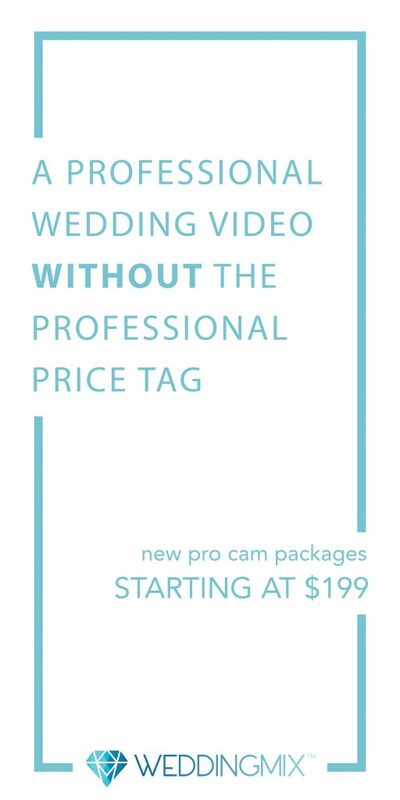 Then our team of professional editors turns everything into a one of a kind video!